“This is so disturbing. All the rich and powerful men who gang together to protect themselves when we see evidence of their sexual abuse of women,” my friend, Jessica, said. “Yes. And I realize that this is a crucial moment in history,” I replied. Jessica and I continued with a significant conversation. From this conversation and others like it, I have thought a lot about what is going on. When I was a child, I felt like I did not matter. My brother was given preferential treatment. He tormented me, and my parents’ neglect gave me a clear message that he was worth more to my parents than I was. My brother even went so far as to hold me down underwater (at a neighbor’s pool), terrifying me because I needed air! His friends, all boys his age, did nothing, to help an eight-year-old little girl. They just watched me being assaulted. With the #metoo movement and with a woman testifying Thursday about the sexual assault she endured, we, women, are now taking our place as worthwhile people who will not stand by while such abuse continues in our society. Perhaps, like me, you were taught to just swallow your anger. Now is the moment for a new approach. Use anger as a stepping stone for positive change. We, Wiccans, know that there are times when we must stand our ground and even actively defend ourselves. During one of my meditations, I used my astral-sword to defend myself. Here are some suggested actions you can take. Meditate and keep yourself strong – Keeping your spirit whole and healthy is the foundation for everything. Call Upon the Goddess – In meditation and prayer, ask the Goddess to strengthen you. Volunteer in the community with an organization that helps women in need. Vote for representatives who focus on women as worthy and valuable. Register if you have not done so earlier. now the power to heal. May you find these actions to be supportive. 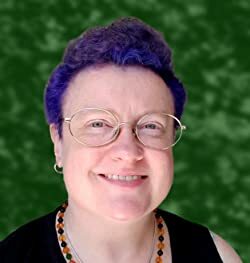 As a Wiccan, are you feeling oppressed? Do you feel comfortable to wear a pentacle openly? 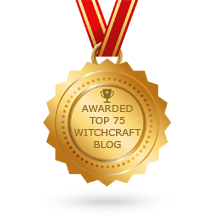 A reader asked me a question recently: How do you get a girl to like you if you’re a witch? I had a thought: Why does it have to be a big deal about being a witch? Why is this question phrased in this way? My second thought was: The question arrives with “if you’re a witch” because many cultures around the world oppress Wiccans. Let’s look at that detail control. A horrible form of control is related to when other people seem to get into your mind and make you doubt your feelings and worth. How do you get a girl to like you if you’re a witch? “Your question brings up a number of subtopics. I’ll work with a couple of ideas. a) How do you get anyone to like you if they might be repelled by a false idea? You may have heard of the idea “be yourself.” Which self are we talking about? The self that has bad breath and a hangover on a Saturday morning? Or the self that you’re proud of. The one that is a good listener. Someone who is respectful, kind and compassionate. The self that is open to learning new ideas and approaches—with each day as a fresh opportunity to grow, learn and be kind. I’m suggesting that you first express your best self. Be a good listener. Be kind, compassionate and friendly. Show a genuine smile at certain moments. These elements are attractive. I have a friend who asked this question: “If you deal with clinical depression symptoms, do you tell someone that on the first date?” His answer is no. Because the person hasn’t experienced your good points, and they have no investment in your friendship yet. When you feel it is appropriate, you might share some part of your spiritual path. Still, be careful because there is a lot of false information about witches in popular culture. b) How does one use magick to make oneself attractive? First, my Wiccan elders have emphasized that using magick on anyone without their consent is Wrong—do NOT do it. However, you can use magick on yourself to remove blocks. You might have endured parental neglect or maybe you suffered heartrending rejection. Therefore, you could do a spell to enhance your personal strength. To be a good friend, you need to have the strength to be a good listener and to share your heart. That’s right—friendship requires us to be strong enough to be vulnerable with the right person. for my heart is alone. so I grow and attract life giving love. As we close this conversation here, I want to emphasize that oppression happens when people are afraid of something or don’t understand something. Yes—plenty of people retain false ideas about Wicca due to popular culture and to some religious leaders actively spreading false information. However, we can get to know people one at a time. When they know us as a warm, kind, friendly person, they may be more open to learning who we, Wiccans, are. Most importantly, stay vigilant about what’s in your own mind. “I’ve got this lump in my breast,” I said to my husband. Shook up, he sat down in a chair. He’d been through the breast cancer journey with his mother. He had to hold her hand while she was having a lumpectomy under local anesthetic. This was the beginning of my health-related journey. I called at 7 AM the next morning to make an appointment. The staff took the situation seriously and set up my appointment at 2:30 pm that same day. As I drove to my appointment I prayed and asked the God and Goddess for Their input. Telling people you love what’s going on is important. I could have relieved my husband from much of his burden of worry by just letting him know what the God and Goddess told me. Ultimately, I had both a mammogram and an ultrasound test. Still, I’m invited by my doctor to continue monitoring the situation. In summary, remember to make good efforts to communicate with both the Gods and your loved ones. “You’re no good!” my husband’s father yelled at him. This man, I’ll call him “George, “continued with insulting my husband and me. I was not in that room. I was waiting in the car. I will not be in the same building as George. George is an unrepentant child abuser, who lost his promotions in the military due to his brawling. My husband was visiting his mother, a kind soul. Do you have a friend or relative who is not only letting you down, but is also actively trying to tear you apart? 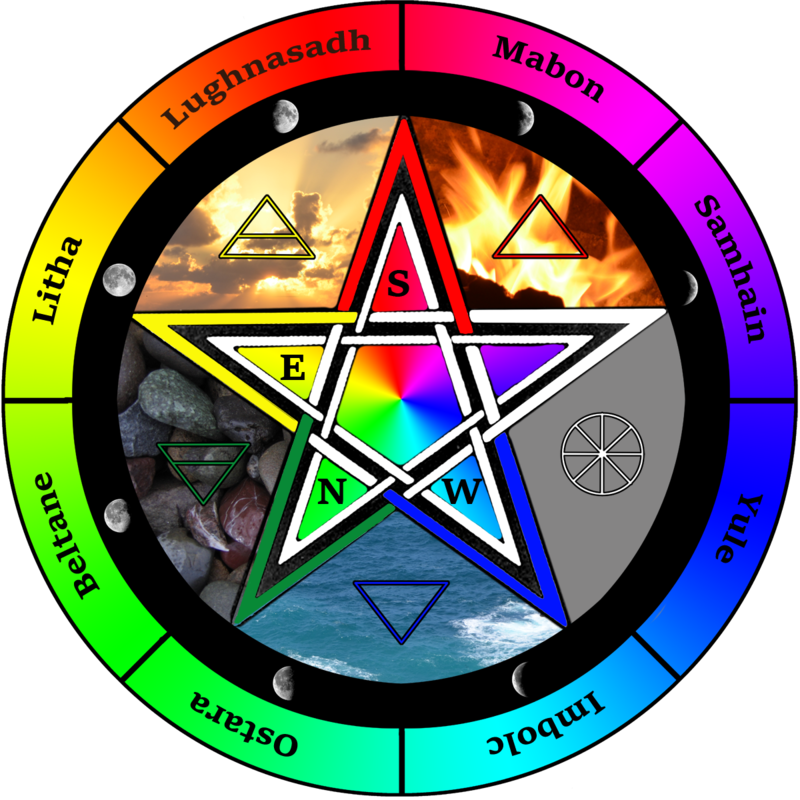 Wiccans know that human beings can be complex. 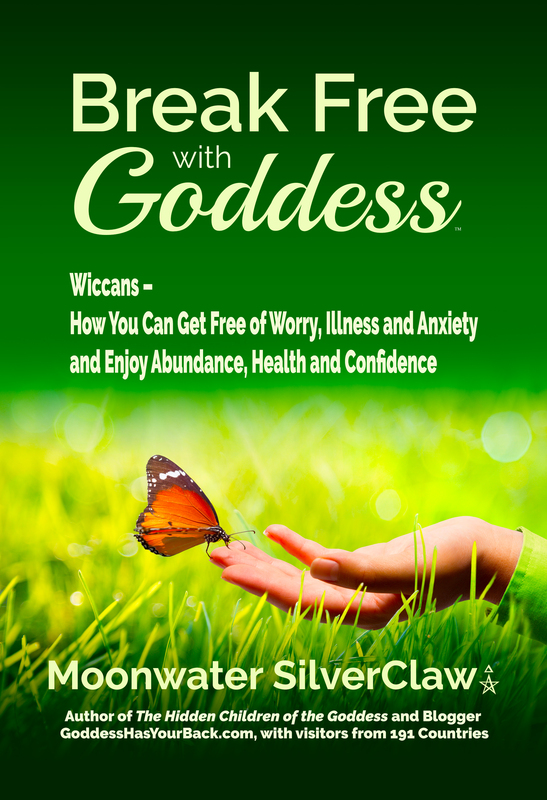 Wiccans realize that sometimes you have to protect yourself from energy-drainers, or worse, attackers. Better than this, Wiccans realize that your relationship with God and Goddess is what truly sustains you. The God and Goddess not only hold us up, They lift us higher than we could ever imagine on our own. The God and Goddess hold our hands on this journey through life and pull us up after we fall and get injured. They hold us as most dear to Them. And when someone tears us down, the God and Goddess are there to lift us back up to our full height. For example, the God and Goddess can provide us something synchronistic. My husband and I went to a pizza restaurant after the incident with George. And my husband listened to the music in that restaurant. The music felt uplifting to my husband. It was a gift. The God and Goddess can provide us with inspiration. My husband got a new idea. Next time, he visits his mother and his father tries to derail the situation, my husband expects to stay seated and almost whisper: “Leave us in peace.” This just might be a divinely-sent idea. How this will make me grow. Give me no reason to complain. Give me this a mighty boon. May this help you when you need real support.